(Natural News) German cities are now allowed to ban diesel cars for the air pollution they generate, reported Deutsche Welle, after the country’s highest federal administrative court instructed the cities of Stuttgart and Duesseldorf to start thinking about enacting a year-round ban for older models. The recent ruling could be the final straw that breaks the stubborn back of car manufacturers that have been dragging their feet with regards to abandoning combustion engines or improving exhaust systems. Stuttgart and Duesseldorf are not the only German cities with nitrogen oxide (NOx) levels in excess of European Union limits. But the indictment is a particularly heavy blow for the former. Stuttgart advertises itself as the birthplace of the modern automobile. It is also home to auto manufacturer Daimler AG, owner of the popular Mercedes-Benz brand. Another German city didn’t wait to be chided. The northern city of Hamburg announced it would begin limiting diesel vehicles by April. The backlash against diesel-engine vehicles began in 2015, when German car manufacturer Volkswagen confessed it cheated U.S. emission tests. The ensuing scandal swept through the automobile industry like wildfire and electrified investment in electric cars. This new ban will send the auto industry reeling given the involvement of a major automaker’s home city. It’s also an embarrassment for Chancellor Angela Merkel, given her government’s often-criticized ties to the sector. German Environmental Aid (Deutsche Umwelthilfe DUH) had filed cases against Stuttgart and Duesseldorf for poor air quality. When local courts ruled in favor of those cases issued bans, German states elevated the matter to the federal administrative court. “This is a great day for clean air in Germany,” said Juergen Resch, managing director of DUH. The federal court ruling provoked protest from many politicians and business lobbies. They believed millions of German drivers won’t be able to use, sell, or replace their now-illegal diesel cars. Meanwhile, the VDA auto industry (German Association of the Automotive Industry) lobby expressed relief that the court did not insist Stuttgart and Duesseldorf immediately enforce the bans. Chancellor Merkel said the government would talk things over with affected regions and municipalities. Environment Minister Barbara Hendricks and other officials hope to prevent bans by encouraging public transport and persuading automakers to improve the exhaust cleaning systems of older diesel engines. Driving bans might finish what the Volkswagen scandal started. Sales of diesel cars have nosedived since 2015, and fears of bans drove demand even lower in 2017. The federal court ordered Stuttgart and Duesseldorf to change their anti-pollution plans. According to the judge, city bans could be enforced even without national equivalents. 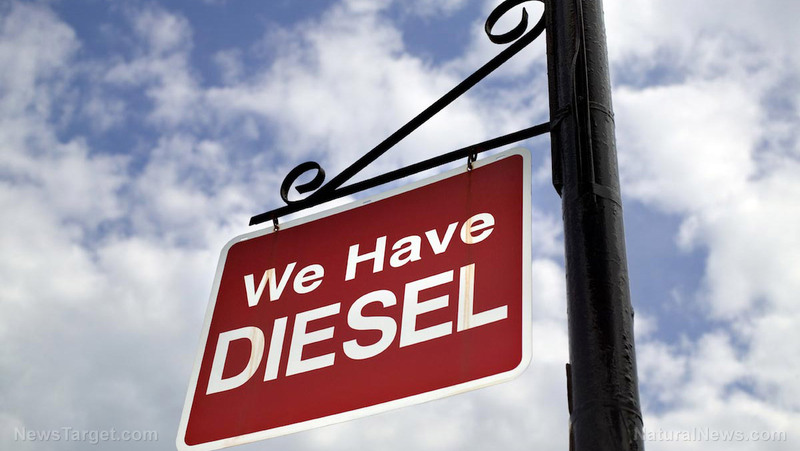 By next January, diesel cars that meet outdated Euro-4 emissions standards may no longer be welcome in Stuttgart. Euro-5 vehicles are exempted until 1 September, 2019. The current standard is Eugo-6. The court added that tradesmen and certain residents will be exempted from the ban. “It will not be easy to implement,” admitted Fritz Kuh, mayor of Stuttgart. He believed the regional government should come up with a new air pollution plan in six months. The police union of Germany reported its inability to enforce any bans. More articles on air pollution can be found at Pollution.news.